This was a major project that was exhibited in 2010. 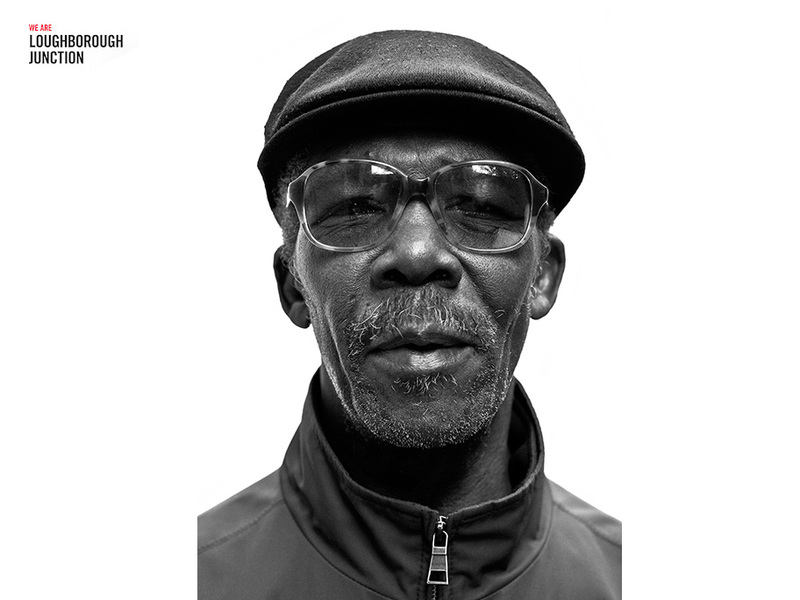 Working closely with the local community I photographed 246 people who live and work in an area called Loughborough Junction in South East London. I tried to capture the the portraits as naturally as possible and my aim was to make the viewer wonder about the person in the photograph and not to be influenced by any photographic style. The white background and the decision to photograph in black and white aided this process as well as the decision to use a controlled setup with no dramatic shadows or sensational posturing. The final work was exhibited on large boards in an outdoor exhibition. It created a route which highlighted the unkempt nature of a junction that falls between several council borders and is ignored by them all. There is a film in the moving image section that shows the work as it was meant to be seen, in a living environment with people passing by and mixing with the portraits in their neighbourhood.